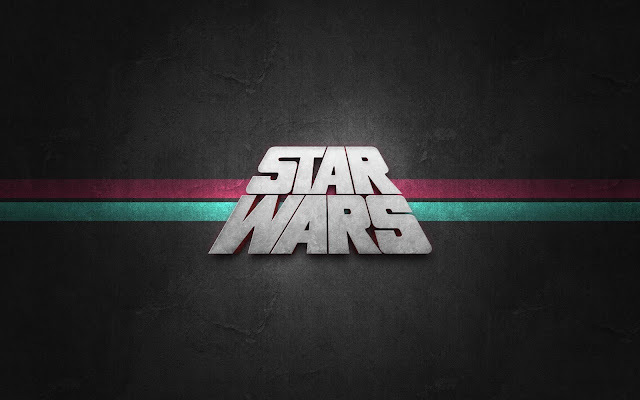 Here are some of my favorite Star Wars background pictures! Enjoy! This is just a really well done version of the words, you know? I really like the coral/mint color scheme they've got going on. 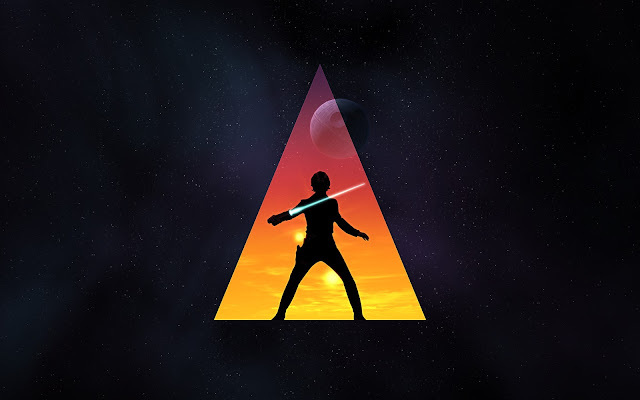 I don't know if there is any significance behind the triangle, but the silhouetted Luke and Death Star in the background is really cool. 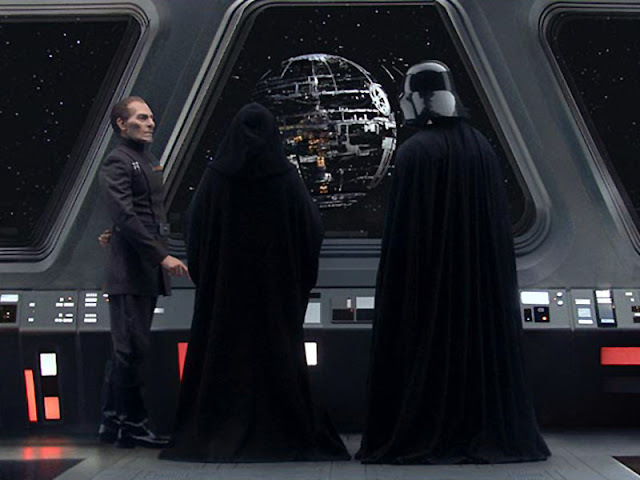 This is an image from the Episode 3: Revenge of the Sith. I really like it because it's the dawn of well, the better movies I suppose. 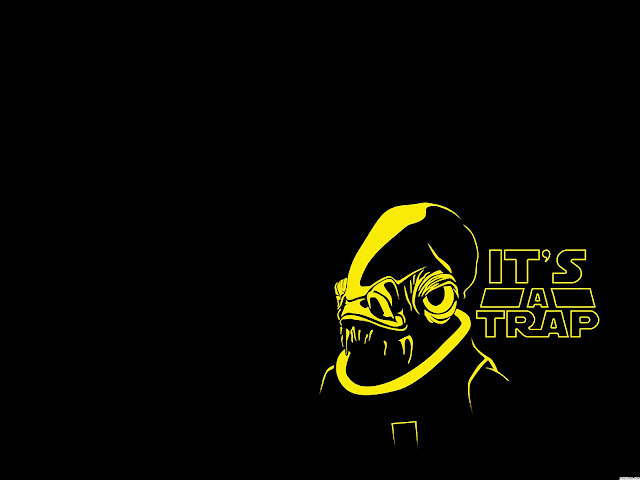 And I'm a Tarkin fan. Oh what?? How did this get in there? 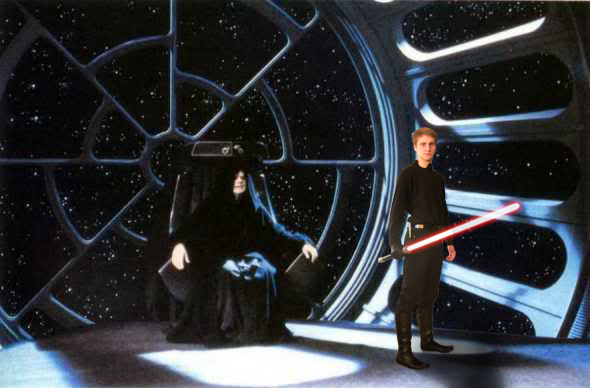 This is actually a picture I made about 4 years ago when I dressed up as Luke Skywalker for Halloween, gave myself a red light saber and crudely spliced myself in next to the Emperor. *sniff* I was his favorite apprentice *sniff*. Well there you have it! With the exception of the last photo those are all pretty good backgrounds for a computer/tablet/phone or whatever. 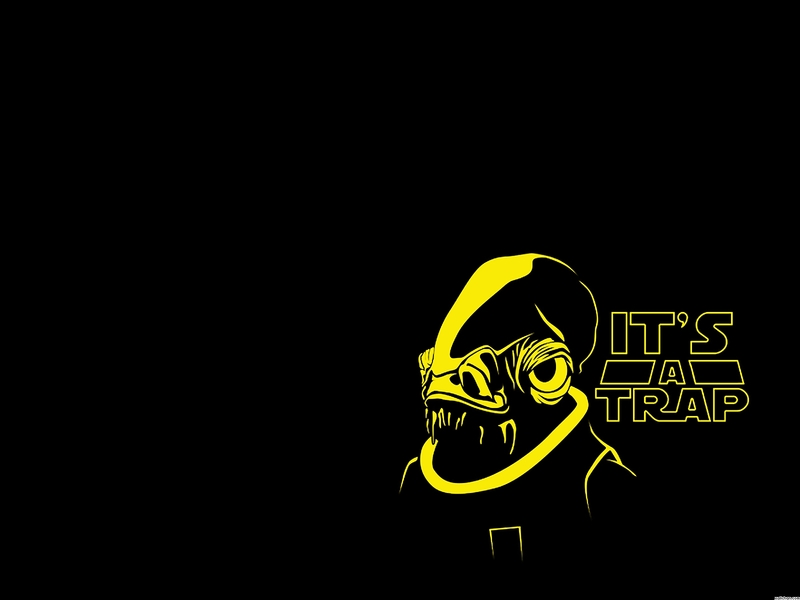 Don't leave home without your Star Wars folks!